If you’ve been in K-pop long enough, you know that most songs are usually about love. When it comes to love, K-pop has all the bases covered – falling in love, one sided love, being in love, falling out of love, sexual love, trying to get back your love, and even stalking your love. But every once in awhile, there is a K-pop act that tries to step outside the pre-ordained boundaries. 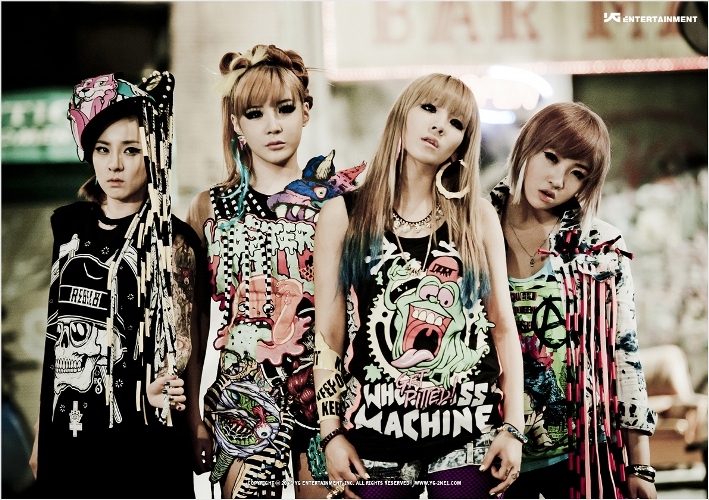 What I’m talking about is social commentary in K-pop. Social commentary is all about providing commentary on issues in the society. In any form of media, this is done through promoting change by informing the general populace about a given problem and by appealing to people’s sense of justice. In songs, social commentary is highlighted in the lyrics through two ways. The song is either reflective of the way people already are or the song comes up with a vision of where people could or should go. Sometimes, songs even do both.In Western music, social commentary is not an unheard of thing and is quite common. Several examples are John Lennon’s “Imagine,” Depeche Mode’s “People are People,” Green Day’s “Boulevard of Broken Dreams” and Christina Aguilera’s “Beautiful.” It’s been discussed time and time again just how much influence Western music has on K-pop so it’s no surprise that K-pop also has plenty of examples of songs that provide social commentary. Prior to 2008, there were innumerable examples of social commentary songs. These songs were characterized by strong lyrics usually coupled with heavy beats, maybe even a dance break with heavy guitar riffs and drums. But arguably, after the increased influence of the Hallyu Wave, there have been less social commentary songs like the songs of the past. But with the recent ineffectiveness of B.A.P’s “Badman,” it’s a good time to take a look into the sea of K-pop songs that did better. In K-pop, I tend to categorize the songs into two: those that address external issues and those that address the internal. External issues are what I also call “hard issues” – similar to the concept of hard power in politics (the use of military or economic means to influence). External issues refer to songs that address issues in the political sphere and economic sphere. Once upon a time, you weren’t considered important to SM Entertainment until you received an SMP song – an SM Performance song. And no, not the project group that performed in the end of the year stages last year — this refers to a category of songs given to SM acts, most of which are written by Yoo Young-jin. 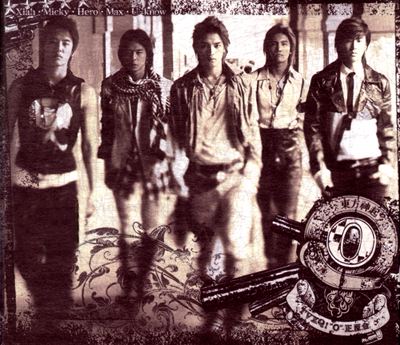 SMP songs are often associated with three groups: H.O.T, Shinhwa and TVXQ. H.O.T and Shinhwa were the standard bearers for the company once upon a time and they did it with a handful of SMP songs. Examples from the first generation of idols are H.O.T’s “We Are The Future” and “Warrior’s Descendant” as well as Shinhwa’s “The Solver.” When compared to their more lyrically mature descendants, these are more raw and leave no room to second guess what the songs are about. They talk about the prevalence of violence and greed in society with a side comment on hypocrisy as well. Even as hoobaes perform these songs as a bow to their sunbaes, the songs’ messages still remain true: a sign of a good social commentary song. And then we move on to TVXQ, the group that had also been the standard bearer of the SMP genre, with songs like “Tri-angle,” “Rising Sun” and “O-Jung.Ban.Hap.” In regards to the latter, the title of the song is roughly translated to “O-Thesis.Antithesis.Synthesis” and any political science major or anyone who has listened to their history teacher should know why this title seems familiar. These trio of words is called a dialectic and most famous users of the dialectic was Georg Wilhelm Friedrich Hegel and Karl Marx — two names associated with Communism. It refers to the endless cycle of change in a society. Thesis refers to the way the society is, antithesis is the opposite of that — a refutation of the thesis — while synthesis is the compromise between both. What is especially pleasant is that the lyrics also portray this cycle quite nicely. Aside from these three groups, the other groups of SM have not had as much SMP songs in their discography. Super Junior has “Don’t Don” which talks about money and greed, SHINee has yet to receive one and everyone remembers Exo’s “MAMA” which was the first SMP song since “Don’t Don” and referred to technology bringing about not just a disconnect between people but also giving people the power to put down just anyone because of the anonymity the internet provides. So yes, “shoot anonymous” everyone. Outside of SM, there has been a recent revival of songs addressing societal issues, mostly coming from Batch 2012. Nu’est addressed bullying from the bully’s perspective and matched their lyrics with the choreography of “Face.” Another song from Nu’est is “Action” which calls for people to stop being hindered by the conformity that society instills in us. Another group that has had plenty of songs with social commentary is B.A.P. 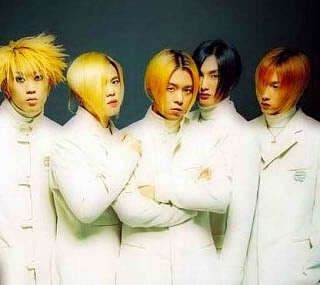 In fact, when they debuted, a friend and I had a joke that they were spearheading ‘TSP’ — TS Performance songs. From their debut song to their most current song, they have quite a few songs calling out society given how they just debuted last year. There is “Warrior,” “Power,” “One Shot” and “Badman.” One song that stands out is “Power.” This is because it is their song which most clearly defines what they are talking about and has the clearest message. Like “Don’t Don,” it talks about how greed and money has corrupted the society and how we should not succumb to them and stand up. If I equated external issues to the concept of hard power, then it makes sense that I equate the internal issues to the concept of soft power: the use of culture, history and diplomacy; abstract material to gain influence. In K-pop songs, these songs categorized under the internal are those that address the inner qualities. They address things that cannot be touched or solved through the mere passage of laws. They talk about insecurity and other aspects of issues that face the common person — soft issues that often do not get highlighted as much. In regards to this, there is one song that comes to mind. 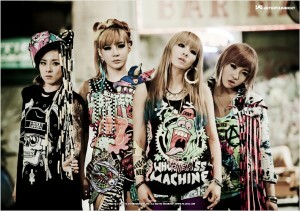 2NE1’s “Ugly” was the follow up to “I Am The Best,” a song which was the opposite of “Ugly” in all aspects. For us international fans, it is equally easy to understand because the chorus is in English, which just makes it easier to drive the point home. It is a song that we all relate to — no matter who you are, there is still a day where you feel insecure about yourself. Another song that talks about insecurity is GLAM’s “In Front of the Mirror.” It’s already been said that it is one of the most underrated releases this year, and for good reason. It shows realistic things that young girls are concerned about, and in a way that the MV makes clear in its presentation of these situations. It also clearly states that these concerns are a result of society’s high expectations. In the bridge of the song, it goes on to say that if only a person could see what was inside instead of the outside, then they would be beautiful. Another song that tackles insecurity and does it in a way that is spectacular is LC9’s “Hold On.” It is sung in English and it clearly plays on the doubts and insecurity that has become common among the youth. It is a hidden gem and is just so relatable. Before anyone says that this category is all about insecurity, it is not. There are several other songs worth mentioning. The first is Sunny Hill’s “The Grasshopper Song” which is based from the fable The Ant and The Grasshopper. Like the inspiration material, it is on the virtue of hard work (but with a playful twist!). Another is B.A.P’s “One Shot” which is all about how you only have one chance to live and thus you should always go for it despite whatever obstacles that you may come across. One last song is BTS’s “No More Dream.” It is a song on how the youth lack the dream and drive to pursue goals because they are content with what they have. So there were several songs not addressed in this article. 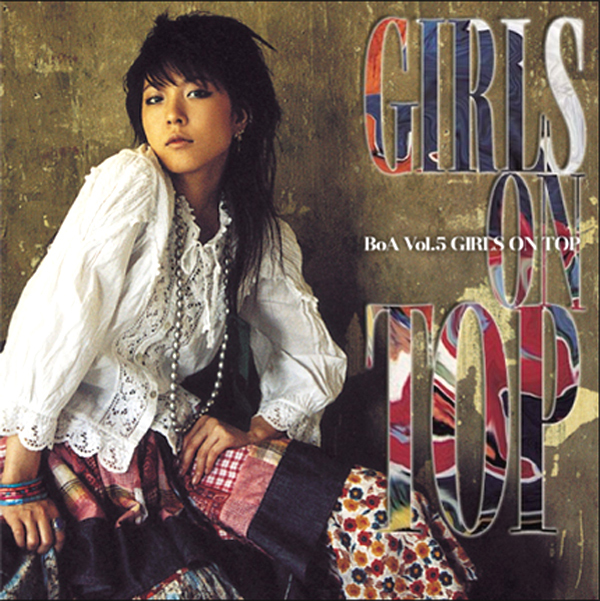 For example, I would have loved to mention BoA’s “Girls on Top” which, for its era, was progressive for its content and belongs to both categories. But with the recent turn of songs wanting to portray feminism, and because Seoulbeats has discussed the issue time and time again, it would be redundant to state the double-edged sword that is feminism due to the societal constructs that have come with feminism. Something else not addressed is if these songs have any effect in their society. Did Super Junior singing about the effect of money and greed do anything? Probably not, but it still remains that it is always a breath of fresh air when a group delves into deep issues such as the culture of greed in a society.